What can we learn from vernacular architecture? 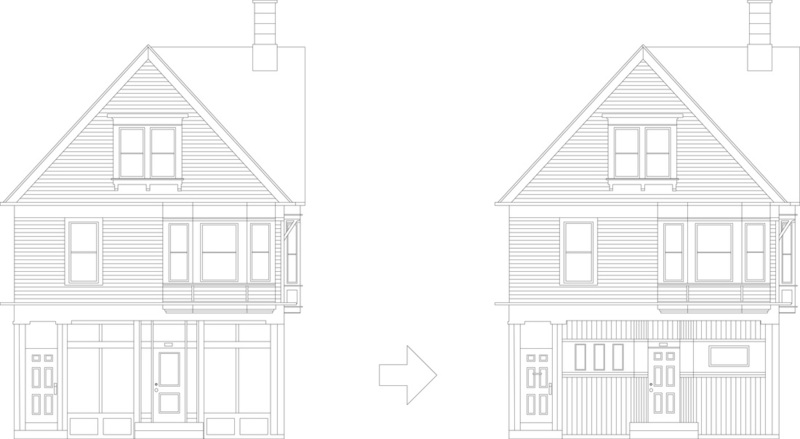 This summer we studied a mixed use building that survived for over a century because it is adaptable and has the capacity to accommodate changes in ownership, use and lifestyles. In a quest to find how the built form was able to sustain such transformations we mapped the changes in the floor plan over time. Is there a blueprint for a flexible building? 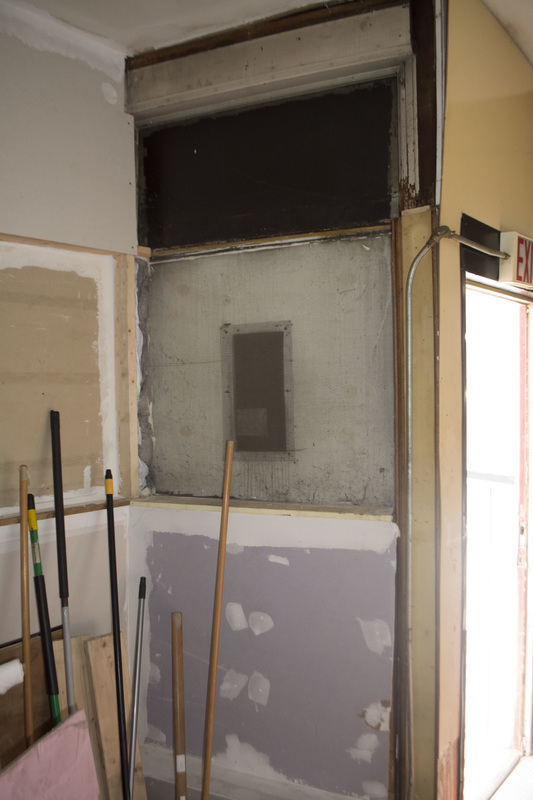 We found three important factors that helped this building accomodate change over time. The first factor had to do with the organization of the functions in the building. As a two-storied structure, the commercial space was located on the ground level and the residential space on upper floors. Having a residence above a business provided the owners an opportunity to have their workplace above their residence. The commercial space provided the perfect size for a small retail business or an office as circumstances demanded. The second factor had to do with access and choreography of movement inside the building. The front and back stairs created multiple entrances and allowed the upper floors to operate independent of the lower floors if necessary. This allowed the owners to rent out the lower floor in order to help cover costs as well as to make additional profit and savings. 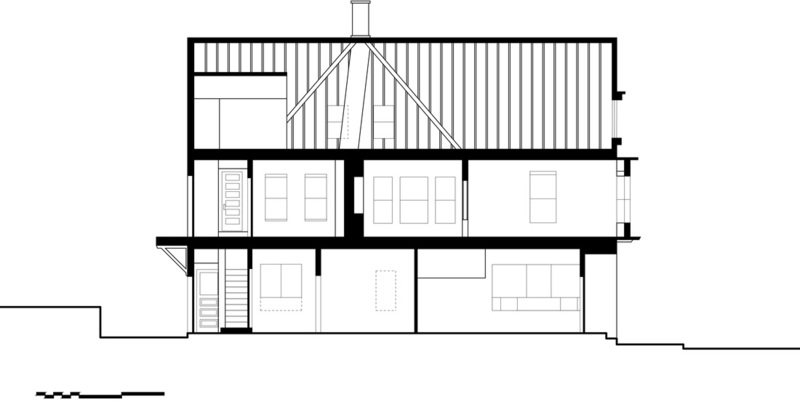 In addition to producing a front/back, public/private spatial hierarchy this layout and dual entrances also allowed the owners to rent out the front section or the back portions of the second floor home to multiple renters. Finally, on careful examination of the wall additions and changes at the ground floor level, we see a clear pattern develop. The back room and stairs remained untouched over the years. However the front room of the commercial space has been repeatedly modified by the insertion of a dividing partition wall in order to create a front and an intermediate zone (as shown by the red dotted line above). By moving this partition portal a storeowner could expand or contract the public front space and the intermediate space as required. A narrow bay defined by the front stairs was enclosed in different ways in order to produce a variety of storage and service spaces (as shown in grey above). Therefore the open floor plan on the first floor was not a blank canvas. Rather it accommodated a series of formulaic subdivisions that could be adapted to produce a variety of interior spaces and cater to different uses. Scholars of vernacular architecture (Habraken 1998, Hubka 1979) argue, vernacular designs offer infinite number of creative variations and options within the constraints of an overarching thematic grammar. Understanding that grammar is key to understanding the flexibility and power of vernacular architecture. N. J. Habraken, The Structure of the Ordinary , Form and Control in the Built Environment, Jonathan Teicher, Editor, (Cambridge: MIT Press, 1998). Thomas Hubka, "Just Folks Designing: Vernacular Designers and the Generation of Form," JAE 32: 3 (Feb., 1979), 27-29. Plan layout of ground level showing interior changes over time. Through physical examination of the building and researching construction permit records we were able to determine that the facade of the building's first floor was originally glazed from floor to ceiling. As shown in this picture, some of the glazing for these shop windows still exists today, but it was covered by aluminum siding in 1974.